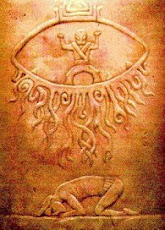 Is there a real message that is being conveyed here by the master artists of the ancient times? Most artists of the past didn't hide any symbols or messages in their pieces of art but that's not necessarily the truth about other masters? 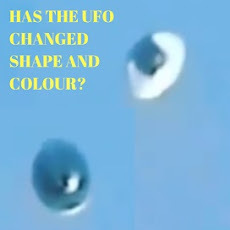 For instance did Aert De Gelder deliberately put a UFO in his master piece? 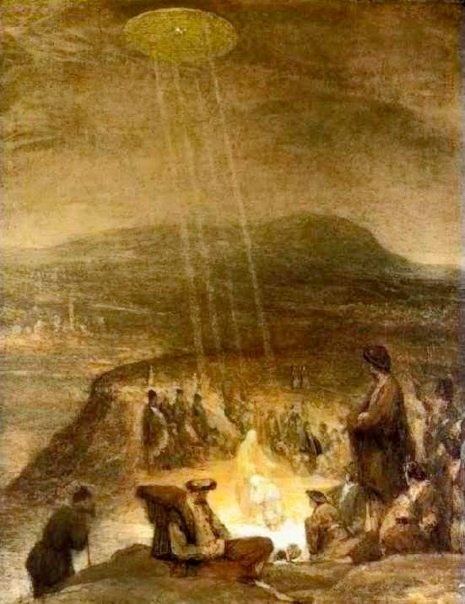 The above painting is titled "The Baptism of Christ" painted in 1710 by Aert De Gelder. 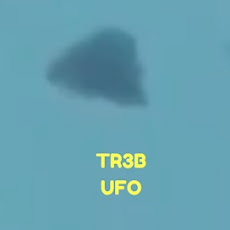 The above painting is a clear reference to UFO or even a Flying Saucer and if you don't believe that then you must have one heck of an alternative "point of view" story? 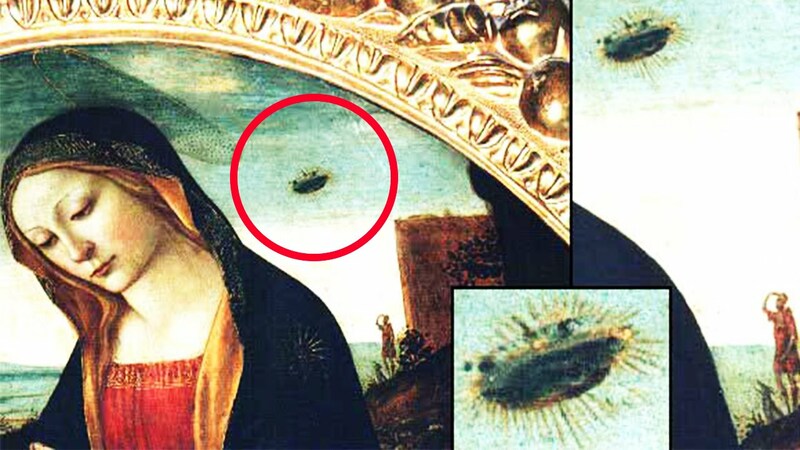 If you don't have a story or an opinion and just feel that it's not a UFO then i'm sorry but our argument outweighs your feelings because we can and "have" backed this up with other examples of UFOs and Alien figures in very old paintings. This maybe establishes a common codes practice by the same movement of people i.e Artists! We already know from modern artworks that artists like to hide symbols and imagery within their pieces (nowadays) which according to the artists can convey any message you want to? 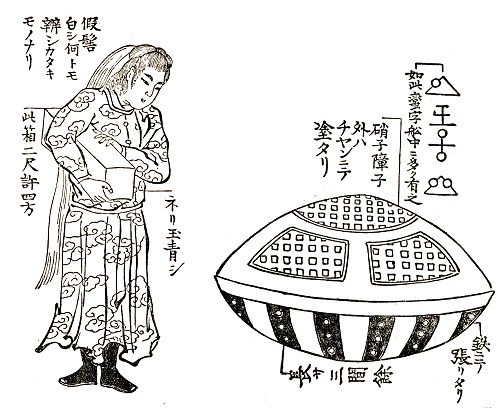 Guys, here is probably one of the best examples of ancient UFOs in amazing and very culturally significant pieces of art! This is ancient and when I say ancient I mean very, very old! 1350AD is when this was painted. Now if that doesn't get your juices flowing then nothing will and you should give up looking for evidence or proof and real examples of Aliens having visited and maybe lived right here on Earth. Two objects with figures inside of them, can be clearly seen in the upper left and right of the painting. 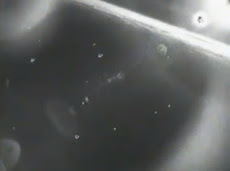 The second image is the magnified objects with the figures inside of them. 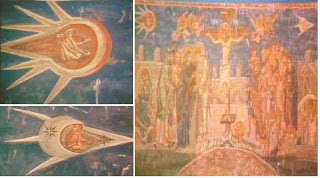 This is a real paintings which is directly above the Altar at Visoki Decani Kosovo Monestary. Here is a piece of artwork from Japan. This UFO painting is from 1803. 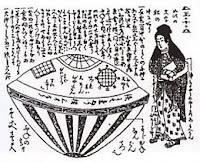 There was a book written about it, Ume No Chiri, that said a “foreign ship and crew” (which means Aliens inside the UFO don't forget it's 1803) was spotted on the shore of Haratonohama, Hitachi, Japan. 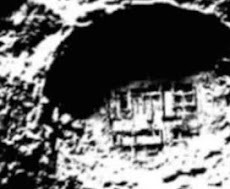 The UFO was made of metal and glass, and had strange writings on it. This is the artist’s rendition of the flying saucer, or spaceship. 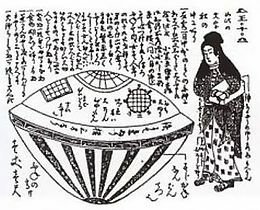 Below writings is how Wikipedia describes this amazing, obvious UFO which just washed up on the shores of Japan. It is "in today's words" a totally unique and unrivalled piece of extraterrestrial evidence and is proof of the existence of Aliens! 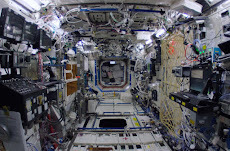 They also do the same as we do, sending out satellites to investigate far off planets, objects and also "peoples - species". 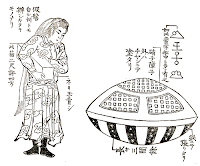 Utsuro-bune (うつろ舟 'hollow ship'), also Utsuro-fune, and Urobune, refers to an unknown object that allegedly washed ashore in 1803 in Hitachi province on the eastern coast of Japan.When defining Utsuro-bune, the bune part means "boat" while Utsuro means empty, or hollow. Accounts of the tale appear in three texts: Toen shōsetsu (1825), Hyōryū kishū (1835) and Ume-no-chiri (1844). According to legend, an attractive young woman aged 18-20 years old, arrived on a local beach aboard the "hollow ship" on February 22, 1803. Fishermen brought her inland to investigate further, but the woman was unable to communicate in Japanese. She was very different then anyone there. The fishermen then returned her and her vessel to the sea, where it drifted away. Historians, ethnologists and physicists such as Kazuo Tanaka and Yanagita Kunio have evaluated the "legend of the hollow boat" as part of a long-standing tradition within Japanese folklore. Alternatively, certain ufologists have claimed that the story represents evidence for a close encounter of the third kind. 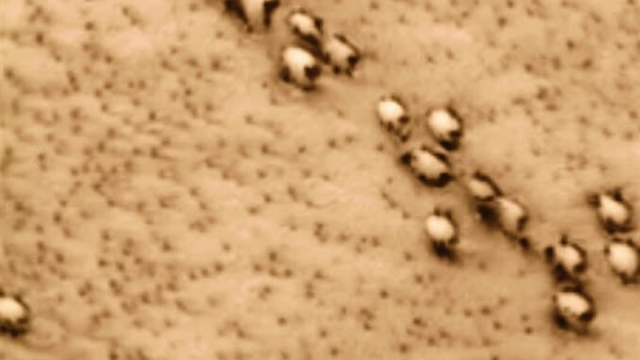 There's lot's of ancient anomalies out there for us all to go look up and put the dot's together? If your not in to doing that then that's cool because there is people who love doing that. 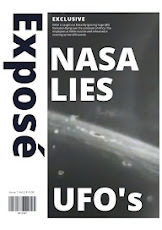 Check out their findings and decide for yourself if it is real or false? Remember, the people who try to join the dots don't make up history because that would be stupid as everything can be confirmed or denied and with that, it easier than ever to rule stuff in and rule stuff out?